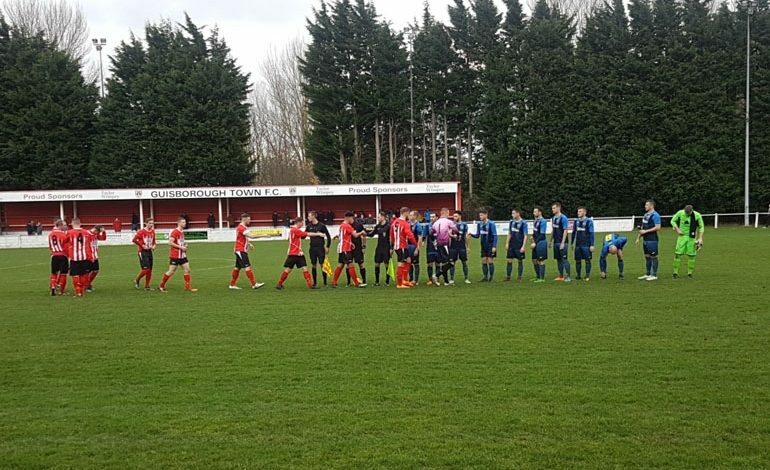 Newton Aycliffe came away from Guisborough with a 3-3 draw, but should have taken all three points. They started well, with Vinny Gash getting through the defensive line after only three minutes, but home keeper Nixon saved with his legs. The pace of new signing Jermaine Metz caused a lot of problems for the Guisborough defence. Stu Thompson had a shot cleared off the line. The pressure told on 19 minutes when Ben Wood latched onto a poor back pass and slotted the ball low past Nixon. Aycliffe were well on top, but allowed Guisborough back into it only two minutes later. Hume made some space in the penalty area and shot past James Winter for the equaliser. Aycliffe continued to play well in the second half and Aycliffe deservedly went ahead when Thompson picked up a loose ball in midfield and hit a screamer into the top corner from 25 yards. Aycliffe increased their lead on 67 minutes when man-of-the match Marc Costello headed in a free kick. Guisborough resorted to high balls into the penalty box in a effort to claw their way back into the game. The tactic paid off seven minutes from the end when Close headed in. Aycliffe then went down to ten men when Alan Harrison was sent off. And Guisborough snatched a point in injury-time when Aycliffe failed to clear their lines and Roberts drilled a low shot into the corner. The result leaves Aycliffe 11th in the table (of eighteen teams) with half of their league games completed. Their next game is at home to Whitley Bay at Moore Lane Park on Saturday (December 1).